So how bad is the Obamacare roll-out going? The left is using drag queens to promote Obamacare. Out to Enroll is using drag queens to promote Obamacare. Meanwhile, several outside groups are pitching in for the LGBT outreach, including Out2Enroll, a collaboration among the Sellers Dorsey Foundation, the Center for American Progress (CAP) and the Federal Agencies Project. Some of the pitches are decidedly less conventional. 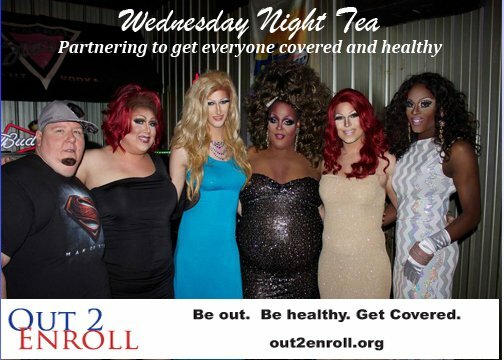 Wednesday Night Tea, a drag show in Shreveport, La., has started promoting the health-care law as part of its act. And Out2Enroll is launching a social media campaign this week that will have “naughty” elements as well as holiday cheer, according to Kellan Baker, associate director of the LGBT Research and Communications Project at CAP. And, you can bet this group is getting government funding to push Obamacare.